Today, we will discuss one of the most important aspects in music, namely rhythm. You might be surprised to see this concept addressed in a series dedicated to harmony. Would you be surprised if I told you that absolutely everything is intertwined when it comes to music, that melody, harmony and rhythm are inseparable from one another? As we've discussed previously, each cadence produces a different effect. For a cadence to work, the chords that make it up must be ordered in a certain way. What is rhythm if not the arrangement of a song in the time dimension? Before moving on, let's take a moment to recall how time is divided in music, namely into "beats." A beat is a subdivision that repeats at regular time intervals, as long as the tempo of the song doesn't vary. It's not unusual for tempo to be confused with rhythm, though, despite them being obviously not the same: A single song can have a fixed tempo but different rhythms. But let's go back to the "beat," whose main function is to serve as the basic unit of measurement for all notes and silences. Below you can see a table that summarizes this. You are probably asking yourself what does the "code" on the image correspond to. First of all, it's important to know that beats are grouped into "measures" (or bars), which are represented as the space between two vertical bar lines in a score. These measures are commonly divided into 2, 3 or 4 beats (but there are many more exotic possibilities!). There are two basic rhythmic forms: binary and ternary. In the first case, the time unit is the quarter note, in the second, the dotted quarter note. Put simply, the ternary form implies a rhythm in constant movement; just think of a waltz or the swing of jazz music. The binary form is mainly used for rock and most other current popular music. In classical music both forms are used. 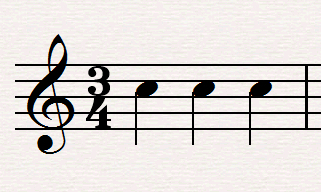 Where "4" represents the quarter note (a quarter of a group of four notes), and "3" the number of times the quarter note is to be included within the bars. So, given that the value of a quarter note is one beat, this codification corresponds to a measure with three beats. The quarter note is usually chosen to represent a binary form. 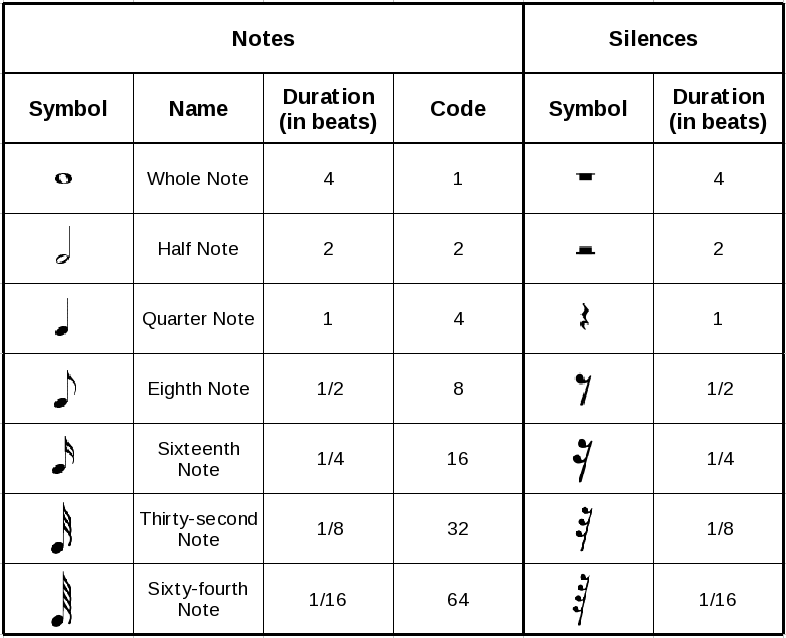 And, since the dotted quarter note doesn't have a code of its own, the ternary form is also based on the quarter note, with three quarter notes per beat. In the following example there are two measures. One with six quarter notes, the other one with two dotted quarter notes. In both cases, we have two beats in ternary mode. You are probably thinking that we have strayed quite a bit from our original topic ─ harmony ─ when discussing these rhythm issues. However, as I wrote above, everything is linked in music. Because cadence is, among other things, the placement of chords in time. To understand what I mean you first need to comprehend what a stressed and an unstressed beat are. To put it simply, a stressed beat is one that is emphasized, be it percussively or with harmony. This means that you should try to stick to stable chords (see previous article) on such beats. By contrast, an unstressed beat is not emphasized. Unstressed beats are usually coupled to unstable chords. Below is a table that sums this all up. It's important to note that, depending on the song, the patterns described here can extend across not only one but several measures. For example, the "stressed beat - unstressed beat - unstressed beat - unstressed beat" progression of a four beat measure can be applied to a group of measures, like this: "stressed measure - unstressed measure - unstressed measure - unstressed measure."